So you’re starting a new small business and there are areas that are so expensive that you really need to budget in other areas. Well, we have a solution for you, a free video conferencing solution that is! While video conferencing may not seem like the most important aspect to cover, to have access to it is not only professional, but it is super convenient. A lot of video conferencing systems are on the expensive side and therefore only a reality to companies and businesses that have extra cash hanging around. However, there are some fantastic services available for no cost whatsoever! Check out these 3 great video conferencing solutions perfect for your small business. 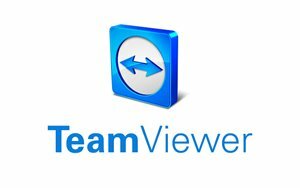 TeamViewer is a giant in the world of video conferencing solutions, and that reputation is there for a reason. It’s easy to set up and it lets everyone in the meeting have access to all of the tools they need to make sure everything runs smoothly and effectively. You can open it up anywhere - whether you’ve got an iPhone, or you’re more of an Android person, it’s available on your cell. It runs on Windows, Mac, and Linux systems, so it’s pretty good for compatibility. For you techies who want to know, it has 256-bit AES encryption, so she’s pretty secure. Meetings can be arranged whenever it’s convenient for you, so there are no worries about that. It’s a brilliant piece of software when you’re looking for a quick and easy video conferencing solution. You can set up TeamViewer so that it can be accessed remotely, so you can get it whenever and wherever you want it. It even comes with a built-in support mechanism. TeamViewer is a pretty flexible piece of software. You can get a portable copy, or you can install it. It’s ultimately up to you, which means you can have it how you like it at all times. It doesn’t get its name and its huge reputation for nothing, but you be the judge. We think TeamViewer is the user-friendly video conferencing solution small businesses can really make use of. AnyMeeting is a great way to communicate, especially if you’re looking for just a simple face to face conversation. For something so powerful, AnyMeeting is really accessible. This one doesn’t require any installation because you can just open your browser and get started. It’s really user-friendly, so you know you’re going to be able to have a video conference with the utmost ease. So long as your browser has Flash Player, you should be all set - and you can use it on your mobile device. It’s a little less secure than some other video conferencing solutions, with 128-bit AES encryption. It’s an easy to use web-based application. You don’t have to be a computer whiz to fire it up and talk to whomever you want. You can set up meetings through the online portal, and you can even download a plug-in for it. Something fun about AnyMeeting, which you may not be able to do with other software is interact with the people in your meeting in a uniquely digital way. It almost functions like social media in this aspect. You can post polls, and status updates, which will show up on meeting participants’ screens. It’s something everyone can dive right into. It’s brilliant for when you’re just having a one-on-one conversation, or for small businesses. It is absolutely fantastic in the way that you can manage the meeting by a few clicks of the mouse. When it comes to usability, and compatibility, AnyMeeting is simply a great video conferencing solution to go to, and it’s free, so it won’t break the bank! WebEx is a brilliant video conferencing service. It’s flexible, and it is known for having hardly any technical issues. When it comes to easy setups, WebEx is one of the first words in video conferencing solutions. It has an intelligent design, that is easy to use for those of us who are not the best at technology. It’s able to mute microphones while you’re still in the meeting. Meetings can be set up easily, whenever you want them to be. Additionally, you can see who has joined, and left the meeting at any point, which makes it perfect for small businesses. There is no complicated installation process. With WebEx, you can share what you want across the software, without any hitches. You can pretty much share anything at all with the participants of your video conference. Phone based conferences aren’t the best for this type of software, but it performs all of the other necessary functions you’d expect out of a video conferencing solution. The security is 128-bit SSL encryption, and it’s a handy dandy piece of software to use when you’re out and about. Where there’s WiFi, there’s a way that you can talk to anyone you want, whenever you want with WebEx. With its mobile capabilities, it makes it a wonderful piece of remote software. It’s completely free for smaller conferences, so this one is not breaking the bank.